Today, I taught my last case of our class. It is a case that I actually had in HBA2 at Ivey, examining Danone's entrance into the Base of the Pyramid market in South Africa, with a custom low cost product called Danimal. I absolutely loved the case as a student, and had so much fun on the other side of the classroom as the professor. I was prancing around the room, quite excited about the case and about the fact that I was able to call on students by their names, instead of just gesturing in their direction when they had their hands up. There was lots of laughter at various moments throughout the class, and I was all smiles. I actually got a bit emotional on the inside when the students all clapped at the end of class; I'm really going to miss this feeling of finishing each case successfully with the students! We had bid farewell to Alex before going to bed last night, so the house was eerily quiet when Chris and I returned from class. Jamie was still in bed, as he wasn't feeling too great this morning, so it really was a weird vibe in the house when we came home. We're all already missing Alex quite a bit as he spent nine days with us, and became part of the family. Since he's now checking in on the Kenyan campuses, he will still be accessible, so we've assured him that we will be calling him often to update him with our daily rants. I spent some time in the afternoon completing a Physics unit test, before meeting Chris and Regis for lunch. The upstairs restaurant has these delicious chapattis for quite cheap, and we've talked about bringing jam from our place to eat with them. I was proud of myself for remembering to bring our jar of expensive jam today, and was having a lovely meal, until I noticed halfway through my second chapatti that there was green mould in the jam on my plate! Gross. After lunch, we did a little bit more work at home, and then made our way across town to the Kigali Genocide Memorial. We were warned by Anny to visit the memorial during our last week in Rwanda, so that we have a positive perception of the country, and it's tremendous development, before learning about the horrifying recent history of the country. I am so glad she recommended this approach, as it really was a tough few hours. There was a lot of information in the indoor exhibits, which paint a very vivid picture of what happened 19 years ago. I was holding in my emotions for the most part, but broke down in the children's room. This room has small profiles of young children, with their favourite foods, sports, pastimes, and then at the bottom of each profile, is a description of how they were killed. The entire memorial museum is a powerful place, built at the site of some of the mass graves from the genocide, where over 250,000 bodies lay. I am very glad we went, and had the chance to spend some time alone in reflection and prayer. After our visit, we took motos to the city centre. One would think I am now a pro and very comfortable on a moto-taxi, but each time there is a new element of danger and excitement that gets my blood pumping and makes me anxious on the ride. This time, the driver was a weaver, veering in and out of the oncoming traffic lane, and in between cars, taxis and matatus (small busses). He was quite daring with a few of his manoeuvres, but thankfully we made it safe and sound! We arrived in the city centre and got started on our errands. In preparation for Friday's end to the course, we ordered a giant slab cake at a nice bakery, bargained and bought heavy cardstock to print the certificates of completion and distinction for the students, and withdrew the first half of the prize money. We then made our way back to the Blues' cafe, where we had tried to order the Trammezinis last week (Alex's favourite sandwich) and after confirming that they indeed had chicken and the rest of the ingredients, we sat down. The sandwich was incredible! 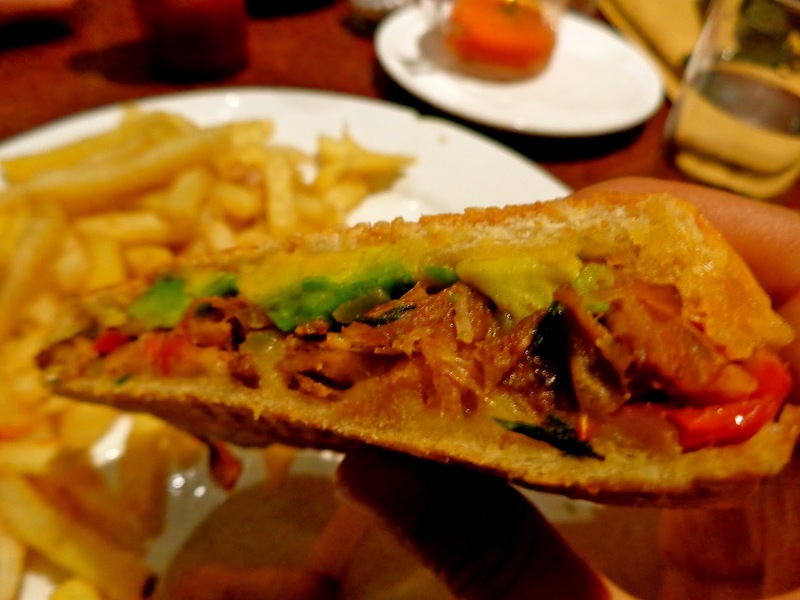 Pressed with grilled chicken, caramelized onions, avocados, melted cheese and delicious herbs, it really was a treat. Thankfully Alex satisfied his craving over the weekend during one of his meetings, and we were able to taste for ourselves the marvel that is this sandwich. We made our way back home (in a taxi) and got back to work. At 10pm, Innocent, the kind man who is the subject of our case study, came over to be interviewed once more. We talked about his business once again, and addressed some of the holes in our research. He is in the middle of exams, so we were very grateful for him to take time out of his busy schedule and answer all of our questions! Reflecting on the day overall, it was pretty emotional. 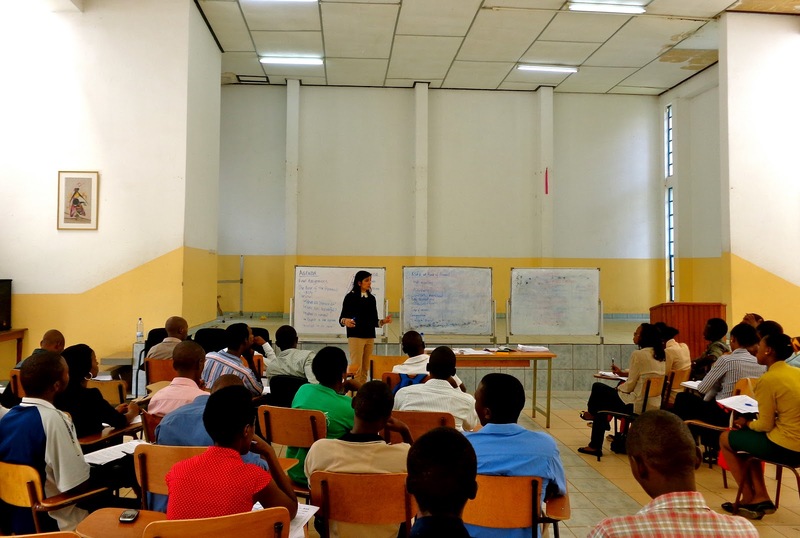 Our chapter in Rwanda is coming to an end, and we also learnt so much about a defining chapter in this nation's history. The learnings from both will definitely stay with us forever.